This convenient 4 pack is nearly identical in performance and appearance to Whirlpool models WHCF-GAC and WHKF-GAC. The cartridge has a semi transparent polypropylene filter body that contains very efficient granular activated carbon. The water enters the cartridge at the base and travels in an upflow direction by first being mechanically filtered down to 5 microns. This ensures the water is filtered of dirt, rust and sediment as it flows through the activated carbon. Through the process of carbon adsorption chlorine, chemicals and odors are removed from the water. Upon exiting the cartridge the water again passes through a 5 micron filtration phase to polish the treated water. 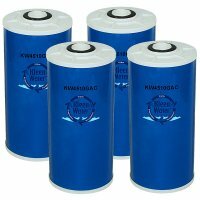 The 2.5 X 9.75 inch dimension is very common and insures the cartridge will fit in many water filter brands such as Culligan, GE, Whirlpool, 3M Aquapure, Pentair and many others. The cartridge is ideally suited for "point of use"" applications but can be used for "point of entry" applications where high flow rates are not required. 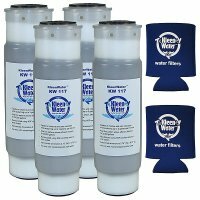 The KW117 is a compatible substitute for Pentek, Ametek,US Filter, Culligan GAC10, 3M Purification Cuno Aqua-Pure 117 , Sears Kenmore 34370, Sears Kenmore 34365, Whirlpool WHEF-WHWC, Whirlpool WHKF-GAC, Watts PWGAC2510 PWFIL-GAC-STD and others. 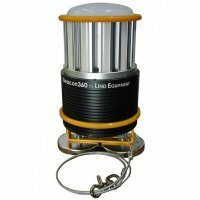 The (2) can holders are included as a small gift of appreciation to our valued customers.